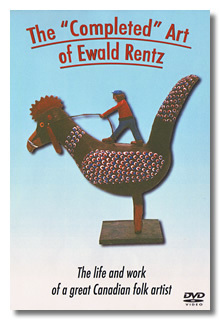 Produced by Folk Art Canada, this 30 minute documentary is an exploration of the life and work of folk artist Ewald Rentz. Interviews with collectors, family, and friends are presented along with detailed examination of his work. Check out http://www.rentzmovie.com for more info. Makes a great gift for the folk art fan!